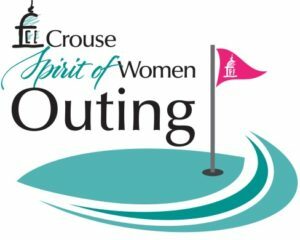 Crouse Health Foundation, in partnership with Crouse’s Spirit of Women program, will present its 2nd annual nine-hole golf outing exclusively for women at Lake Shore Yacht & Country Club on Monday, June 3. Golfers will participate in a Captain & Crew format with a 4 p.m. shotgun start, followed by a social hour reception at 6 p.m.
Non-golfing guests are invited to attend the reception, which will feature hors d’oeuvres, sweet treats, drinks and musical entertainment. Proceeds will be used to support the work of the Baker Regional NICU, a New York State-designated regional perinatal center caring for the highest risk premature and critically ill infants in the fourteen-county region it serves. Registration for returning golfers and sponsors begins on March 11. All others may register beginning on April 1. For more information, please email Phyllis Devlin or call her at 315-470-7008.